The bright star in the centre of this image is not the star of this show. At the bottom centre is a rather unremarkable smudge of red which is in fact a rare and valuable object. 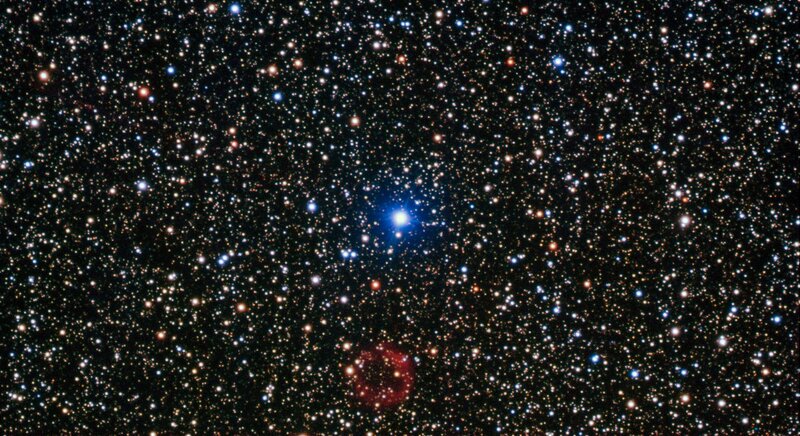 First discovered by amateur Japanese astronomer, Yukio Sakurai, in 1996, and noted as a nova-like object, Sakurai’s discovery turned out to be far more interesting than the supernova he initially supposed it to be. The object is actually a small white dwarf star undergoing a helium flash — one of only a handful of examples of such an event ever witnessed by astronomers. 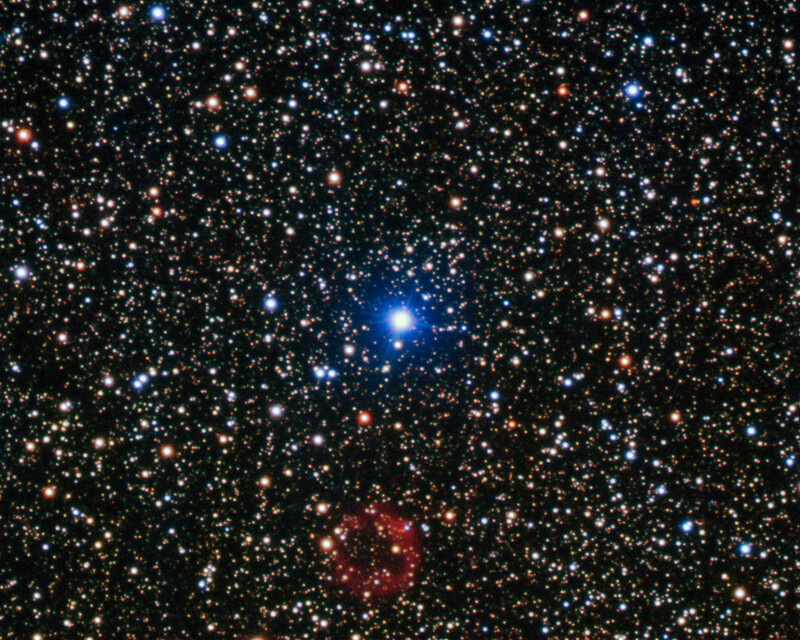 Normally, the white dwarf stage is the last in the life cycle of a low-mass star. In some cases, however, the star reignites in a helium flash and expands to return to a red giant state, ejecting huge amounts of gas and dust in the process, before once again shrinking to become a white dwarf. It is a dramatic and short-lived series of events, and Sakurai’s Object has allowed astronomers a very rare opportunity to study the events in real time. 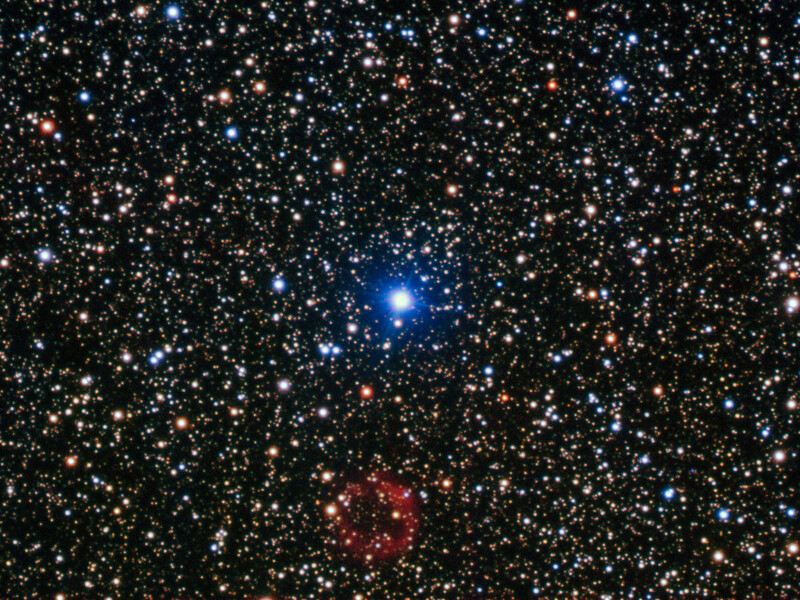 The white dwarf emits sufficient ultraviolet radiation to illuminate the gas it has expelled, which can just be seen in this image as the ring of red material. 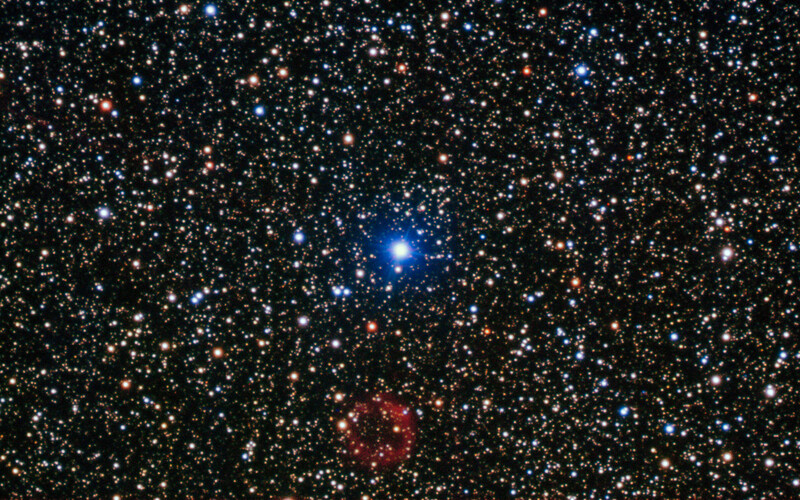 This image was taken using the FORS instrument, mounted on ESO’s Very Large Telescope. Position (Dec): -17° 39' 45.01"